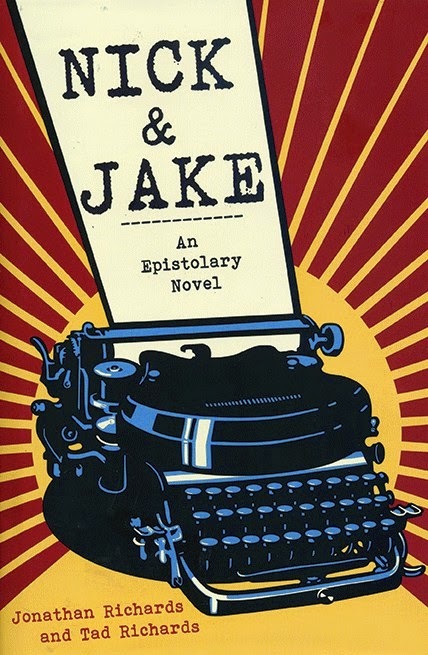 In this novel composed of letters and newspaper articles, Nick Carraway (from F. Scott Fitzgerald's The Great Gatsby) and Jake Barnes (from Ernest Hemingway's The Sun Also Rises) become friends, and encounter a number of famous people of their era. Characters from still other works of fiction who appear or are mentioned in the book are: Alden Pyle (who is revealed to be really Alden Pyle Carraway, Nick's son) and Thomas Fowler from Graham Greene's The Quiet American; Larry Darrell from W. Somerset Maugham's The Razor's Edge; Irving Sheinbloom (originally Steinbloom) from Christopher Guest's film A Mighty Wind; Mary Richards from The Mary Tyler Moore Show; and Lamont Cranston, who in this context must be the Shadow in his guise as the real millionaire of that name. Besides the Shadow connection, The Great Gatsby and The Quiet American both have other crossovers bringing their events into the CU. I have a post about the Shadow Over Innsmouth, the Shadow and H.P. Lovecraft crossover from Dynamite, on the Yahoo groups site. I figured someday The Great Gatsby would be brought into the CU. Though, I thought the book overrated.